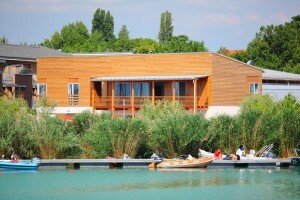 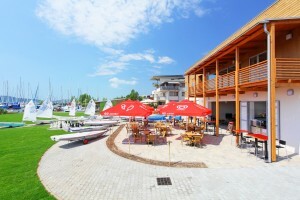 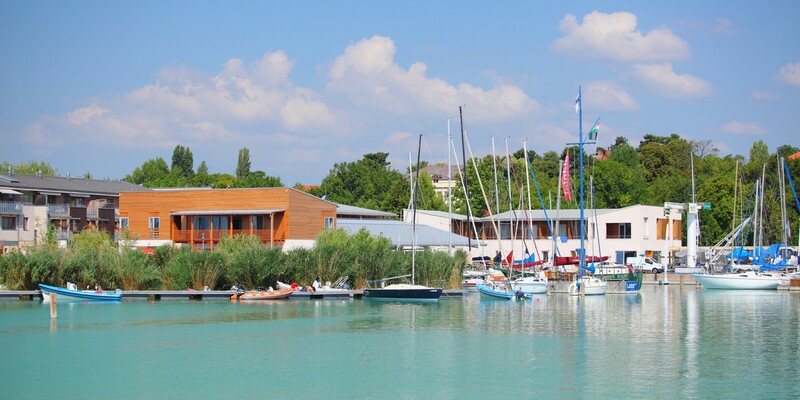 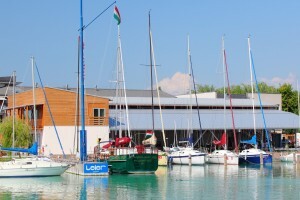 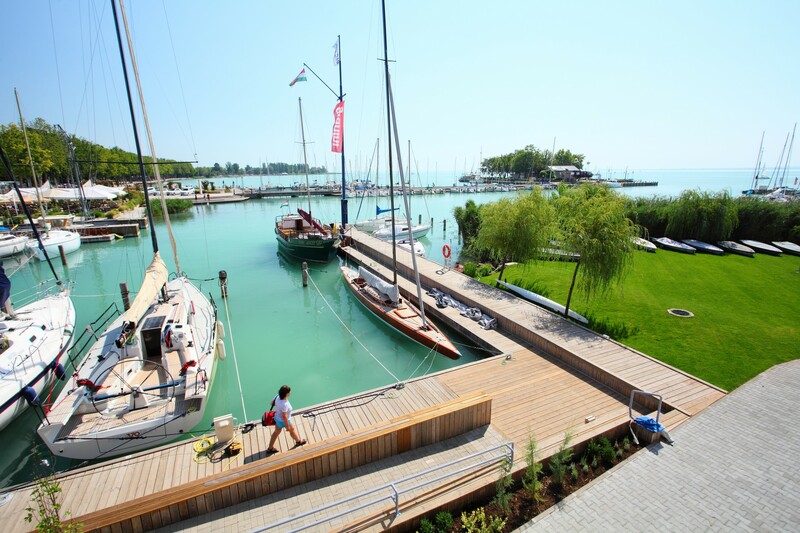 The port of the Balatonfüred Yacht Club is located in the centre of Balatonfüred, to the west of BAHART harbour. It consists of a modern outer port with 86 berths (with electricity and water supply facilities) and an inner port, which was reconstructed in 2012. It is equipped with a big and a small slipway, derrick, and an electric crane (its capacity: 1.5 tons, in case of larger weight a mobile crane must be used). 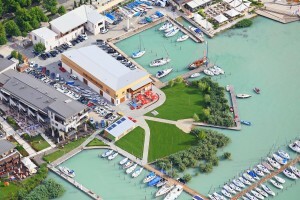 There are a limited number of berths in the port, which are available for annual lease. 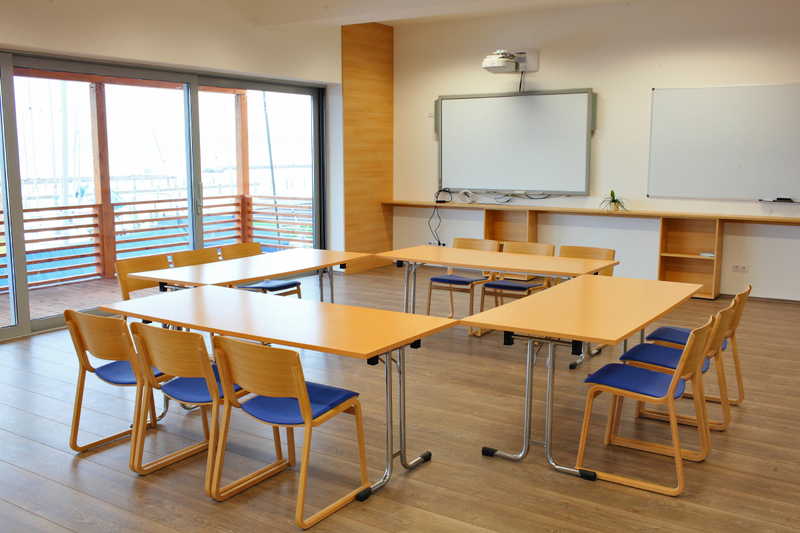 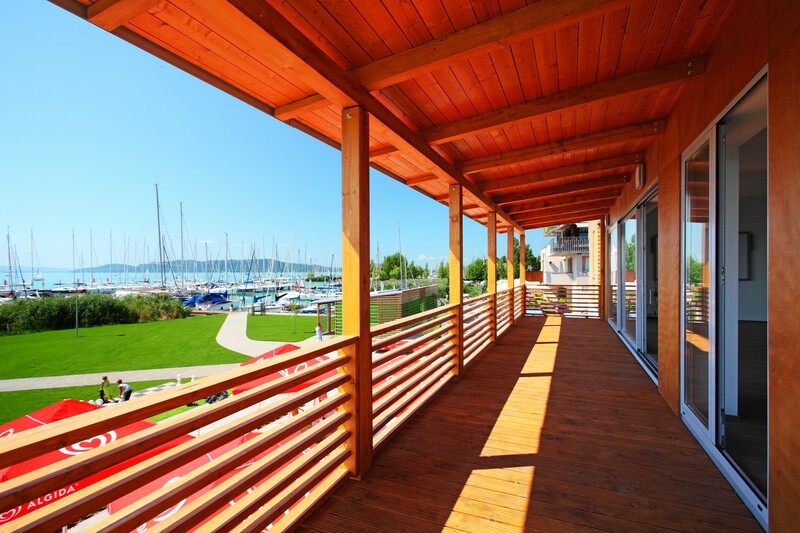 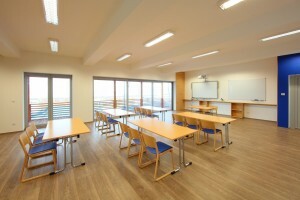 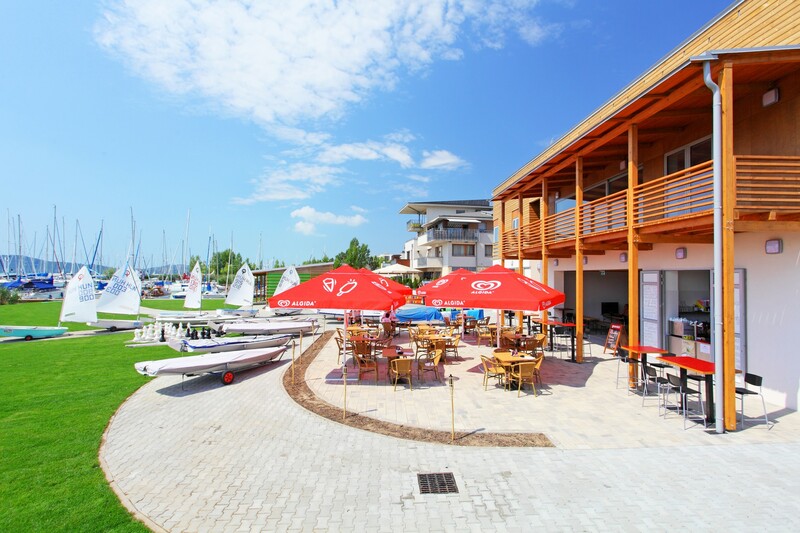 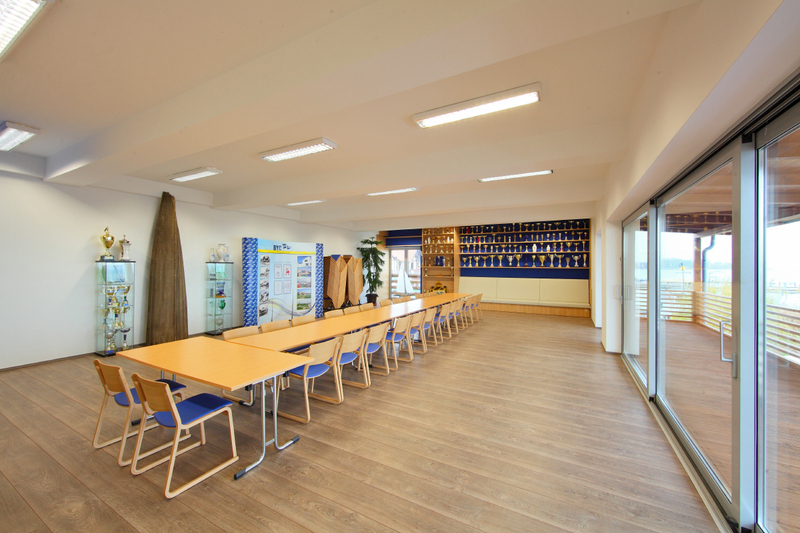 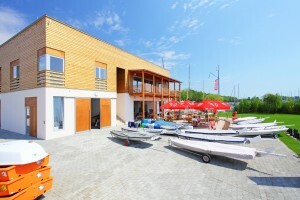 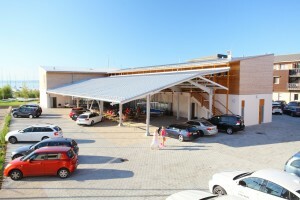 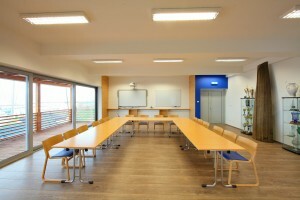 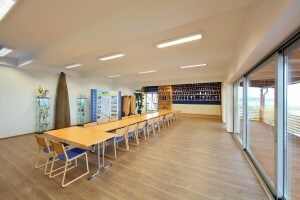 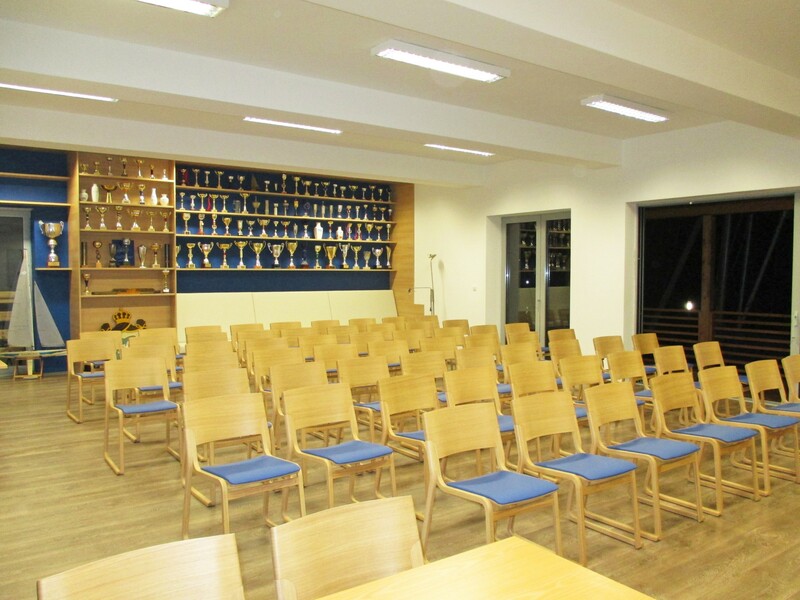 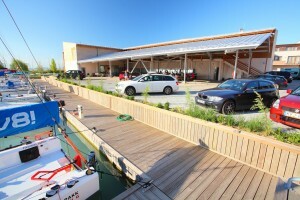 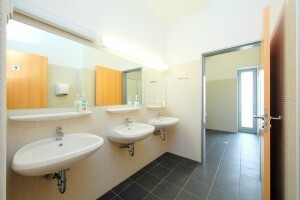 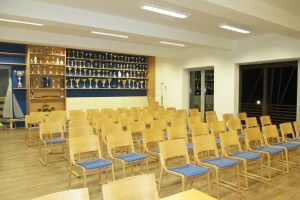 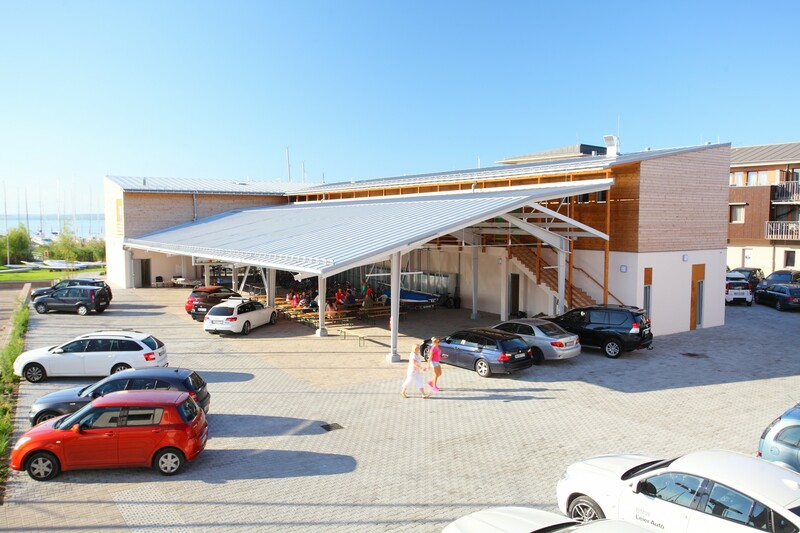 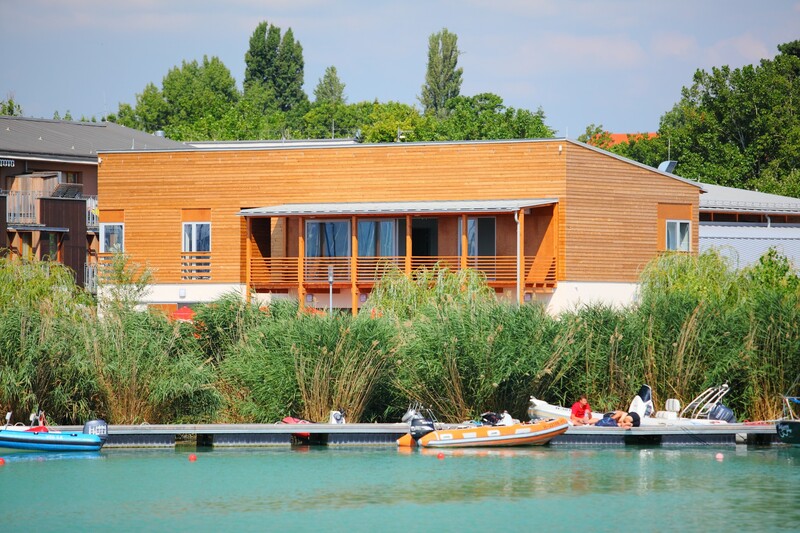 In the year 2014, the hangar of the Balatonfüred Yacht Club was reconstructed and extended, new sanitary units were built, and the club room awaited by the Club members was opened, which also serves as a multifunctional event room. 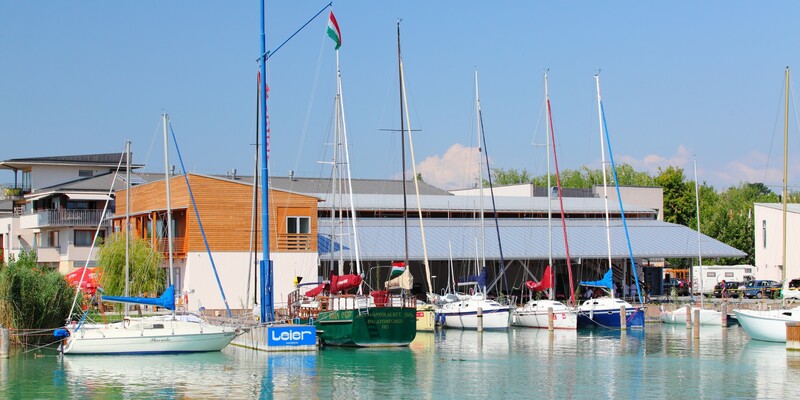 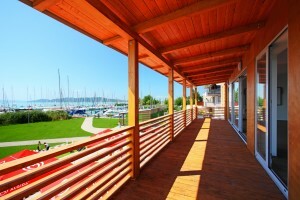 All these services are provided in exclusive, unique, beautiful surroundings, in the heart of Balatonfüred, directly on the shore of Lake Balaton, with our own water area. 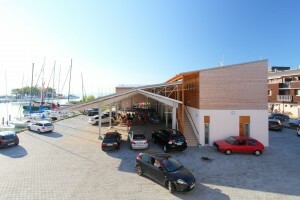 The new gym provides an opportunity for training for those, who would like to do some exercises.